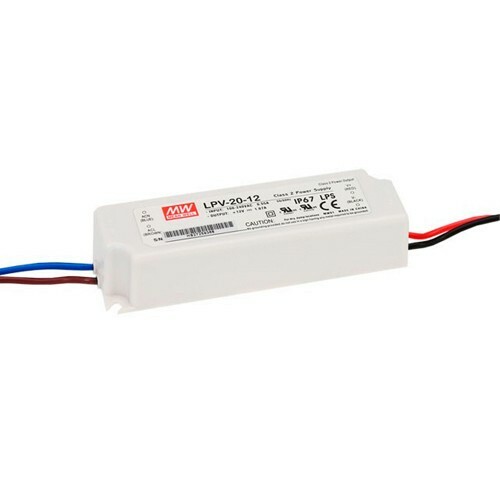 This LPV-20 20 Watt Mean Well Power Supply can be used to power our 12V Single Colour LED Strip Lights and colour changing RGB LED Strip Lights. This is a class 2 power supply and 12 volt power adaptor with a maximum load of 20 watts and can be run from a light switch. An IP67 rating also makes it suitable for use in "dry and damp locations." Mean Well is one of the world's leading manufacturers of switching power supplies with over 30 years experience providing reliable, functional and cost effective products. Warranty on this product is 2 years. 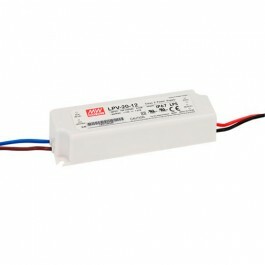 For any more information call 0116 321 4121 or email support@ledstriplights.co.uk.